Web Offset printing offers our customers a low cost way to produce mass volumes of printed materials. Our web press can print up to 5 colors and has inline capabilities for folding, remoist gluing, perf and scoring. 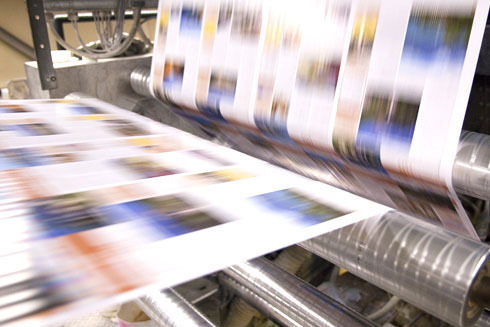 Customers that produce large amounts of marketing materials utilize our web press capabilities to produce newspaper inserts, brochures, bank inserts, magazines and letters.